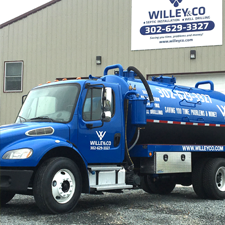 At Willey and Co. we are proud to be Delaware’s most talented septic system installation and maintenance company. 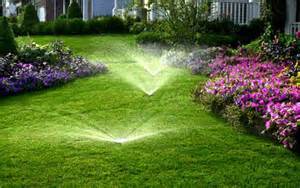 What our present clients may not know is that we offer the finest irrigation services in Sussex county. Why do we offer well drilling, irrigation and septic systems? Simple—we want to provide our customers with the best value possible. Think of it this way, if you are putting in a septic system what better time to install an irrigation system? And what better time to drill a water well than when installing a septic system? All of these systems are connected in one way or another and bundling them together can save you a large chunk of money by doing it all at once. That being said, what if you just need an irrigation system? Well the only call you need to make is to Willey & Co. for our irrigation services. In the world of irrigation things have changed dramatically in the last 20 years and it is important to keep up with the times. Let’s say you have a system that was installed in the early 1990s or before, it may be time to change it up, and by change it up we mean a complete refurbishment. Many times when an irrigation system is installed it was part of the landscaping before the grass was established, meaning that much has probably changed and your system may have serious issues. Of course that is not always the case, sometimes all an irrigation system needs is a little TLC and it will be just fine. An irrigation system is much more than a simple series of pipes that allow your to water your lawn. A modern irrigation system is a complex framework of pipes, valves, heads and boxes. When you turn on your sprinkler system you will notice that is is set on a cycle of zones. Installing the system in zones is to maximize the coverage of the individual heads. In most yards, if you were to turn on all of the zones at once, the water pressure would not be sufficient to make all of the heads work. This is why the system is broken up into zones. To control the different zones, a series of valves is attached to the main waterline. These valves were traditionally electrically controlled solenoids that opened and closed the water supply at the precise time. Many valve boxes were hard wired into the home and required buried wiring which can very easily be damaged. Currently, Willey & Co. is installing wireless valves and sensors that make reliability much more attainable.After the water flows from the home, through the valve and into the designated zone, it is expelled through the sprinkler head. Sprinkler heads are almost always powered by water and aside from some electric heads, will not function if the water pressure is inadequate. All of the heads on the zone are designed to function to their maximum potential with the water pressure that is supplied, if a head is moving slowly or not spraying correctly this is a clear indication of a serious issue. Generally, on a system that is in obvious need of a replacement there are options for saving costs. Many times however it is more cost effective in the long run to simply abandon the existing system and put in a new one. Your efficiency and water savings will be much greater and you can rest easy knowing that your irrigation system is without issues. The method of installation is dependent on the kind of soil that is around your home. The ideal soil would be clean fill dirt, if this is the case a machine called a vibratory plow is utilized to install the pipe infrastructure. A vibratory plow creates a barely visible cut in the lawn and is a great alternative to digging trenches and is much better for the grass. If your sprinkler system fits the criteria of being aging and broken down, it is time to call the underground irrigation leaders, Willey & Co. We will have you back up and running by next season! So, don’t wait call today!